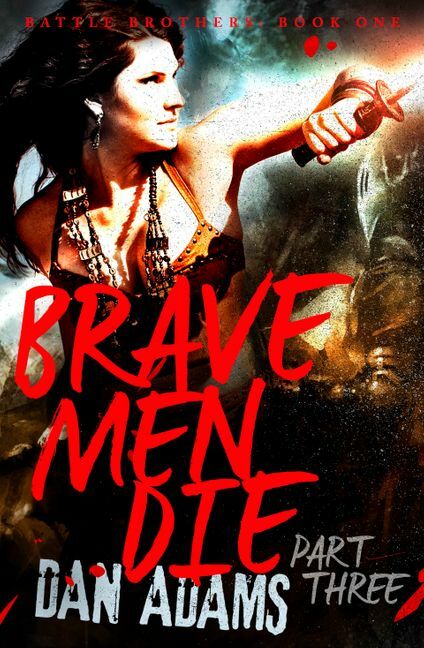 The epic conclusion to the three part series, Brave Men Die. For fans of Mark Lawrence and Peter V Brett. Wave after wave of Kyzantines break against the walls of Black Claw Gate, leaving them bloody and scorched, but holding. As more Buckthorne men die on the wall, it's only a matter of time before Pollux and his soldiers will resort to desperate tactics, high risks and bloody sacrifices. The war has moved beyond the Gorgon Pass and the Nails have been forgotten, left to the grind in the corner of the Kingdom. When orders come to ride behind enemy lines and strike at the heart of the Empire, Castor's challenge with Pyxis is left unfinished... and the darkness inside him unsatisfied.